If you have any questions about the Vitadimare 3 information page below please contact us. 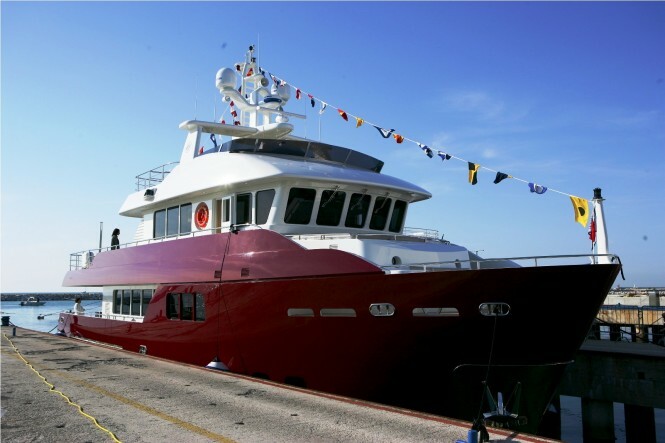 Motor Yacht 'Vitadimare 3' Darwin 86 is a 26 metre explorer vessel launched by the Italian Cantiere delle Marche in May 2011. 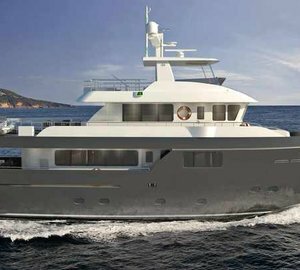 Darwin 86 Explorer Yacht 'VITADIMARE 3' is built in steel and aluminium and was designed by the prestigious naval architect Sergio Cutolo of Hydro Tec Creative Naval Architecture in Varazze. The interior design of the new motor yacht VITADIMARE III from the Darwin 86 class was created by architects Floris and Veglia. With a length of 26 meters overall and a beam of 7.43 meters the Darwin 86 yacht Vitadimare 3 has a steel hull and aluminium superstructure and is characterised by the internal volumes typical of larger boats (over 350 m2 of internal and external surfaces available for 8 guests) and a very high range (7000 miles at 10 knots). From a technical standpoint, the hull has been developed and optimized in order to ensure the achievement of high speed, relatively to the type of boat, without penalizing the performance at low speeds at which the maximum value of autonomy is realized. With two 285 kW Caterpillar engines only, can reach a top speed of 11.5 knots. The 26 m explorer VITADIMARE 3 motor yacht Darwin Class 86 accommodates up to 8 guests. We do have available further amenity, owner and price information for the 26.02 m (86') yacht Vitadimare 3, so please enquire for more information. The luxury yacht Vitadimare 3 displayed on this page is merely informational and she is not necessarily available for yacht charter or for sale, nor is she represented or marketed in anyway by CharterWorld. This web page and the superyacht information contained herein is not contractual. All yacht specifications and informations are displayed in good faith but CharterWorld does not warrant or assume any legal liability or responsibility for the current accuracy, completeness, validity, or usefulness of any superyacht information and/or images displayed. All boat information is subject to change without prior notice and may not be current.